July will be a busy month for eastern mnemonists as it will host two Memory Championships. Today, we’ll see the Thailand Open Memory Championships be held at Bangkok and this post will largely focus on its happenings and how it will turn out. But for those people who are interested to participate in a local memory tournament, this month’s second memory event, the Philippine Memory Championships will be held on the 20th and 21st of July at Makati Medical Center Auditorium. Please go to their Facebook Events page to register. 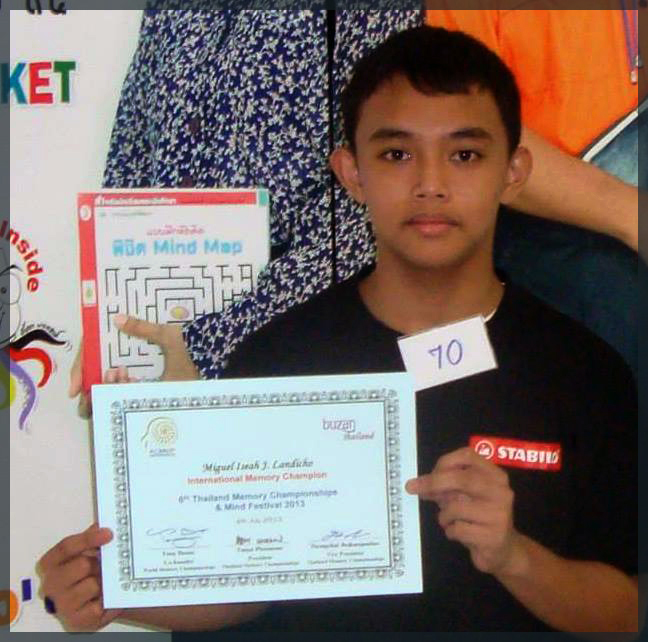 Now, the sport where people, both young and old, and of various backgrounds, try to memorize as many random information as they can, is slowly growing its popularity every year in the Philippines. We started on 2010 with just two people that ballooned the following year into six guys. Last year saw kids, juniors, and women compete for the first time. And now it is grown so much that we are now sending not one but two teams to today’s 2013 Thailand Open Memory Championships. Yep, that's right; there'll be more than 20 individuals that will represent the Philippines at the 2013 TOMC. I guess we’re just eager to defend the TOMC title from lastyear that was won by Mark Anthony Castaneda, especially now that it will truly be an international open tournament where another country other than the Philippines will be competing. As of the moment, I’ve only confirmed that RajJain, 183rd ranked Memory Athlete from India, will be competing and the press releases have also said that the Japanese and Mongolian Teams will also be throwing their hats in the game as well. But without any of the Philippine’s (relatively) veteran mnemonists on deck, the Philippine delegation will have their hands, or should I say heads full when they head into today’s memory championship. I’ve delved into writing a prediction about memory championship winners last year when I sat out that year’s World Memory Championship. Being that I’m not participating in today’s events as well, I’ve decided to make some prognostication again on how the tournament will end up later today. 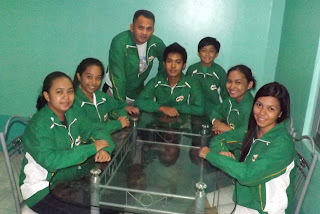 To do this, we’ll have to rely from the previous performances of the participants and base our predictions from that. It is a fairly straightforward process of looking for the highest rated participants and then throwing your dart towards the best ranked player and voila! We now have the tournament favorite that will most likely win this year’s Thailand Open Memory Championship. So, by just looking at their past performances, it looks like we’ll have a strong favorite from India, Raj Jain (A), with a 2725 ranking from last year’s World Memory Championship. 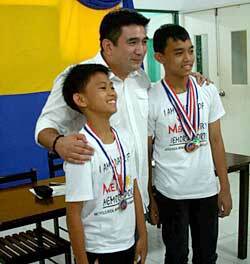 His closest rival is, surprisingly, a junior from Team Milo, Mikhaila Paraiso, with 2079 points. She may also be a lock to win the junior’s division when the next best junior is probably her team mate Ydda Graceille Mae Habab with her 1696 points. Having said all that, let’s now look at the intangibles, those competitors that I don’t have much information on. As reported, there might be competitors coming from Japan and Mongolia, and of course, the local Thais that will participate in their Memory Tournament. Now, if the Mongolian Team will field in any of their top ten highest ranked players, they may have a strong chance of snatching the championship away from Raj, being that their top ten has a 2007 point ranking. Japan may challenge as well, but their highest ranked athlete is just above 2300 points. The Thais, on the other hand, have barely breached the 2000 point barrier and most likely out of the running for the Open class (I’m just not exactly sure if a local competitor can also claim a win at the open tournament.) There aren’t much information on the kids and juniors as well, so, it will be much harder to predict who may pull out a victory there. But of course, I’ll be cheering for my countrymen none the less. So there you have it! I'm looking forward to see the results later. Good luck everyone! As per Raj Jain's Facebook, he just won the 2013 Thailand Open Memory Championship! Congratulations! And according to John Burrows in the Welsh Memory Records Facebook Group, Abbygale Monderrin won three golds for the Philippines. Thanks to Ms. Goddard, the official results of the Thailand Open Memory Championship 2013 are now available. I've also included the picture of the Junior Champion, Miguel Iseah Landicho at the right. 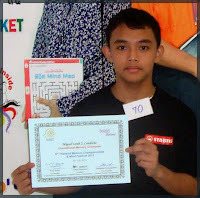 Also, the 2013 Thailand Memory Champion was Tawan Sunadwanichkul.